Born in Mount Salem, St James, Bowen was the first of three children born to Indera Stone. However, he was raised in Hopewell, Hanover, by his mother for the majority of his life. “I grew up with my mom in a single-parent household for most of my life, but I was with my grandparents at one point because my mother was away studying and working in another parish,” Bowen said. His first contact with school was at the Hopewell Christian Deliverance Centre Basic School, after which he went to the Bethel Primary School in the parish. 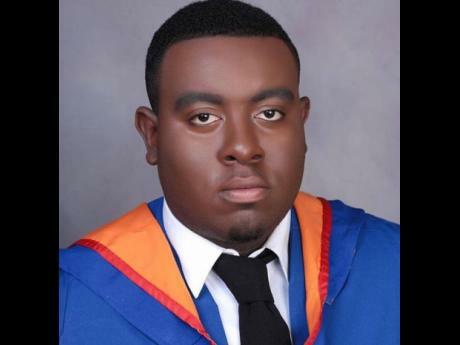 Bowen passed the Grade Six Achievement Test and attended Herbert Morrison Technical High School, where he attained eight Caribbean Secondary Education Certificate subjects, all with distinction, before moving on to sixth form, where he achieved distinctions and credits. University was next, and, as a result of his hard work, Bowen was accepted to study at Johns Hopkins University. However, he decided to attend The University of the West Indies (UWI) instead for financial reasons. With help from Hanover Charities and his mother, he was able to pay for his first year at The UWI. It has been five years since Bowen started his studies, and he has completed his Bachelor of Science degree with a double major in human resource management and operations management. He started his master’s degree in logistics and supply chain management immediately after completing his undergraduate degree. During his years at the university, Bowen had a son, and this baby changed his outlook on life.